OGA's Plant Locator catalog helps you find quality plants from the premier growers in Northern Illinois. The Ornamental Growers Association of Northern Illinois is an organization of nurseries in northeastern Illinois. The association was founded in the early 1940's with the desire to work together to provide quality nursery stock acclimated to the Midwest and northern states. Now, 65 years later, the organization still meets monthly with the same goals and traditions in mind. The OGA is distinguished from other organizations with the true diversity of its membership. Our members produce quality material ranging from the staples of the landscape to trend-setters in the market. This material is produced on land that exceeds 6,500 acres. You can find plant material from liners to 20' specimens; including Perennials, Evergreens, Deciduous Trees, and Shrubs. Attend a trade show or seminar. Check often for updates, news. Chicagoland Grows® is an innovative plant introduction program developed to promote and encourage the use of new and recommended plant cultivars that are well adapted to growing conditions in the Upper Midwest. 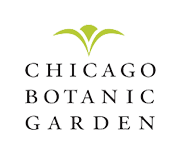 The program is a collaborative effort between OGA, the Chicago Botanic Garden, and The Morton Arboretum.